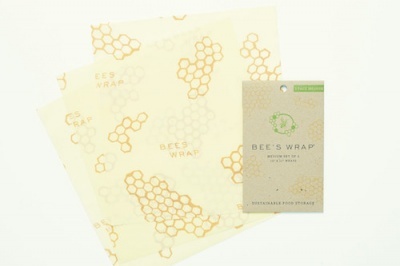 Bee'ss Wrap is the sustainable, natural alternative to plastic wrap for food storage. Package of 3 Medium (10" x 11") wraps. Keep food fresh naturally! This set of 3 Medium Bee's Wraps are made with organic cotton muslin, beeswax, jojoba oil, and tree resin. The antibacterial properties of the beeswax and jojoba oil help to keep food fresh and allow you to use the Bee's Wrap again and again. GOTS certified. Bee's Wrap is the sustainable, natural alternative to plastic wrap for food storage. Package of 3 Medium (10" x 11") wraps to wrap cheese, carrots, herbs, or cover a bowl. It is not recommended for meat. Wash your Bee's Wrap in COLD water with a mild dish soap, air dry, fold, and store in a drawer or in a basket on the counter. 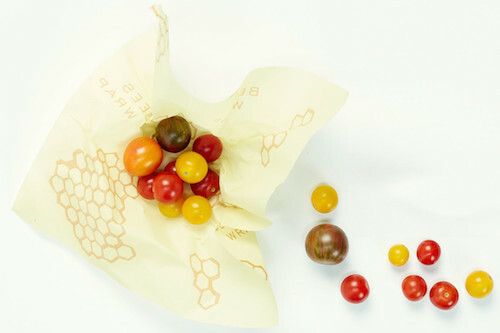 Bee's Wrap is a great alternative to plastic wrap for food storage. It is an easy way to do something good for the environment and yourself. 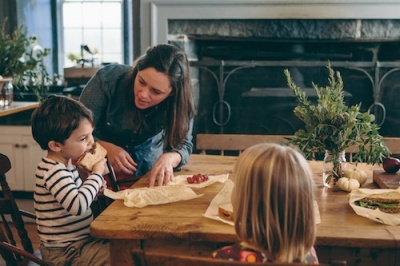 Bee's Wrap is an old fashioned solution that feels miraculous in the modern world!